Ricky was a grass tracker until the foot and mouth epidemic of 2001 put the sport on hold and persuaded him to try his hand at speedway. Less than 12 months later "Ricky who?" joined the Tigers. Fast starting Ricky had a good solid first season in 2002, albeit with the odd mechanical problem, and was a major factor in the Tiger's fortunes. Started the 2003 season at reserve but had claimed the third heat-leader position by August. This earned him rides for Great Britain in the U21 test match wins against Sweden scoring 4+1 at Reading, and a commendable 7 at Wolverhampton. Ricky doubled up for the Peterborough Panthers in the Elite League in 2004, and 2005 saw him riding for both Sheffield and the Poole Pirates. Ricky concentrated solely on the Tigers in 2006 proudly wearing the No.1 race jacket, and his best meetings seemed to be when he assumed the captaincy when André was injured. Ricky made the No.1 race jacket his own in 2007 and again improved his average. He sustained a wrist injury in the Premier 4's at Peterborough in July causing him to miss four meetings, but scored 16 (paid 18) in his return match against Edinburgh in August. His best away performance was 13 points at Mildenhall which included a thrilling 5-1 with André in heat 15 to steal victory. Ricky's season came to a premature conclusion with a broken wrist sustained in a crash with Trent Leverington in the away win at Glasgow. Paul made his debut for the Prowlers in 2003 and rode in their Trophy matches in 2004 when work and grass track commitments allowed. His apprenticeship as a joiner completed Paul signed on for the Tigers in 2005. After a torrid trip to Armadale where he failed to open his account and wrote-off various equipment he bounced back with his best score of the season in the narrow defeat at New Craven Park. His season came to a premature conclusion following his heat 2 crash at Glasgow. He is pictured here relaxing at home just four days after surgery to repair the damage to the ligaments, tendons and muscles in his left knee. In 2006 Paul top scored against the Isle of Wight with a magnificent paid 17. He then joined Conference League team Scunthorpe Scorpions as cover for the injured Wayne Carter, winning the Conference League Best-Pairs meeting riding with Sheffield team-mate Benji Compton as the Scunthorpe 'B' pairing. Paul them broke a bone in his wrist riding against the Boston Braves causing him to struggle through the Play-off final against King's Lynn. Paul was given another chance in 2007 starting the season in the reserve berth and mounted on new JRM bikes. A torrid weekend in April saw him blow his best engine at Stoke, and his second engine while guesting at Mildenhall the following day, but bounced back scoring paid 11 against Berwick at home and a match winning paid 14 at Shielfield Park using an engine borrowed from Gary Flint! He again contested the Conference League Best-Pairs meeting at Scunthorpe, this time representing Boston alongside Simon Lambert and duly won the title for the second year running. Kyle joined the Tigers in June to replace struggling Sam Martin. 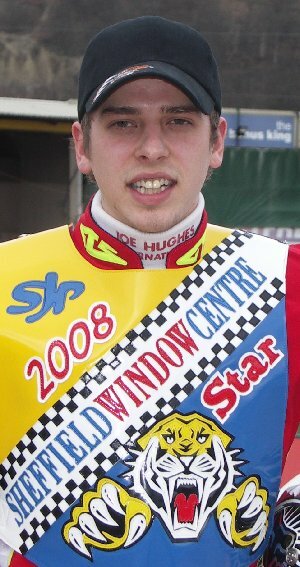 He guested for us against Birmingham in the Premier Trophy semi-final scoring 1 at Perry Barr and 3+1 at Owlerton which was enough to persuade the Tigers management to negotiate with Coventry to sign him on loan for the remainder of the season. Kyle continues to ride for the Plymouth Devils at Conference League level. Sam joins us for the 2008 season on loan from his parent club Reading. Son of Mark Martin who rode for Canterbury in the early 80's Sam has been riding in Britain for the last four seasons. He joined Oxford's Conference side as a fifteen year-old in 2004, and helped them to a Championship win in 2005. He joined Boston in 2006 and finished the season with a much improved average. Sam made his debut for the Tigers in the away match at Newport guesting for Benji Compton and picked up 2 points in the Tigers narrow defeat. Last year Sam was back with the troubled Oxford team, upping his average yet again and helping the Cheetahs to the Play-off final where they lost to the all conquering Scunthorpe Scorpions. 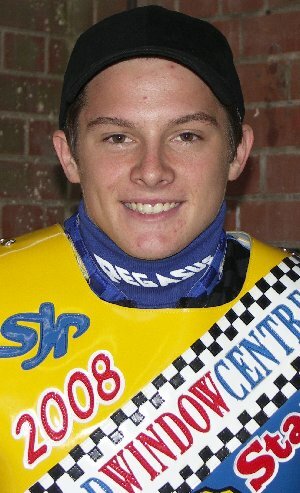 Sam also rode in the Premier League as a guest for both Edinburgh and the Isle of Wight before replacing Benji Compton (again) in the Berwick team for whom he made 19 appearances, top scoring with 5 (paid 6) away at King's Lynn. Sam took a tumble riding for the Scunthorpe Saints in the Conference league towards the end of May causing him to miss a few meetings. He lost his team place to Kyle Hughes while he was out of action and soon after announced his intention to return home to Australia. Joel started the 2008 season like he was on fire but blew his best engine at Scunthorpe and never looked quite as sharp after that. Lee first rode for Sheffield in the Youth Development League alongside Karl Bagshawe and Adam Allott. He's an all round sportsman, three times British Schoolboy Cycle Speedway champion, rode for the English European Team and was a useful cross country runner at regional level. His fitness would certainly have helped in seasons 2002, when he rode in all of Hulls 50 meetings, and in 2003 when he completed a similar feat at Exeter in their 48 meetings. His cosmopolitan list of previous clubs includes Sheffield, Mildenhall, Buxton, Rye House, Belle Vue, Workington, Newcastle, Hull, Exeter, Berwick, Wolverhampton, Glasgow and Oxford at various levels. 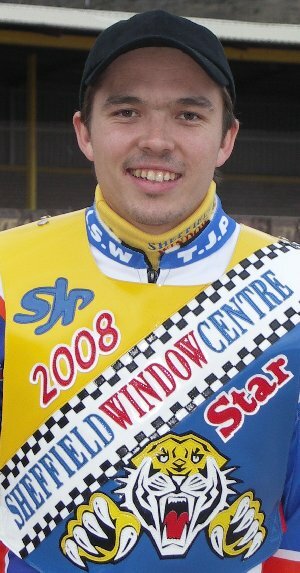 Currently a Newcastle asset, Lee started 2006 at Berwick but despite upping his average by almost a point he was sacrificed when they brought in Jacek Rempala. Lee also had a handful of meetings as reserve for Elite League Wolverhampton early in 2006, and then a short spell replacing Ross Brady at Rye House pending Stuart Robson's return from injury. Last season saw Lee lining up as a Tiger, north of the border in Glasgow, but he lost his place to Michael Coles in June after a poor run of form. He rediscovered his appetite for racing in his short spell with Oxford in the Conference League. Lee started the season well but hurt his foot when tumbling after the finish of heat 12 against Stoke (trying all the way to the finish line) causing him to miss the next four matches. He is currently out of the saddle following a fall at Mildenhall where he cracked a vertebra. Lee finished the season on the injured list following a three man crash in the end-of-season challenge against the Owlerton 'Outlaws'. Lee suffered a badly broken collar bone and was scheduled to have surgery on it. 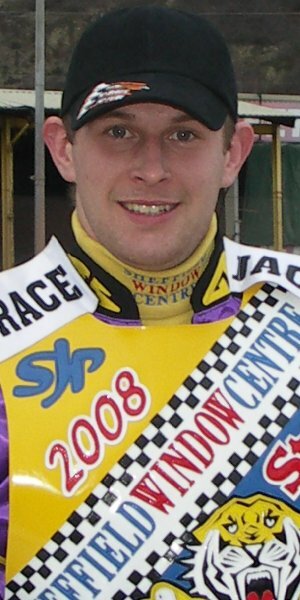 Ben rode as third heat leader for the Tigers in 2008 but came under pressure from Joel Parsons for third place in the averages and announced his decision to move on to another team as he felt he needed a new challenge.